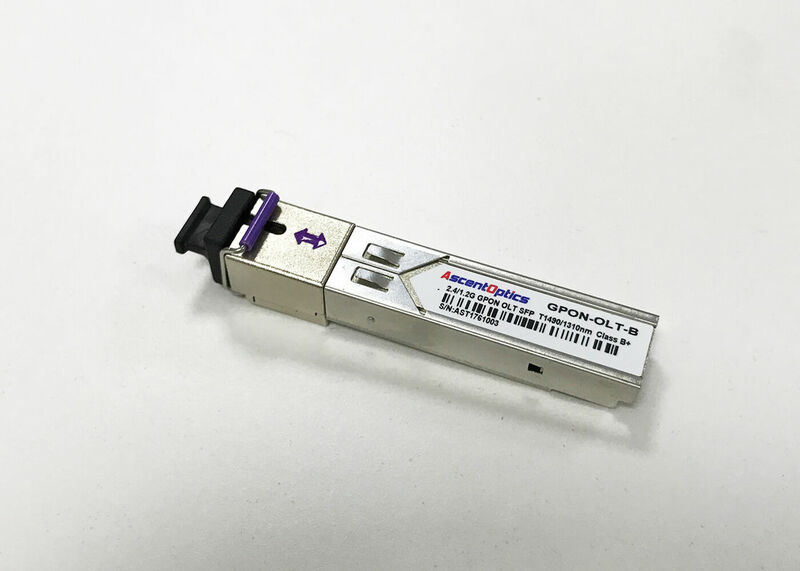 The GPON OLT Transceiver is designed for Gigabit-capable Passive Optical Network(GPON)transmission. The module incorporates 1490nm DFB continuous-mode transmitter and 1310nm burst-mode APD receiver. The transmitter section uses a high efficiency 1490nm DFB laser and an integrated laser driver which is designed to be class-1 eye safety under any single fault. The laser driver includes APC and temperature compensation functions, which are used for keeping the launch optical power and extinction ratio constant over temperature and aging. The receiver section uses an integrated APD detector and burst mode preamplifier mounted together. To provide fast settling time with immunity to long streams of Consecutive Identical Digits(CID), the receiver requires a reset signal provided by the media access controller(MAC). The receiver has fast SD function, the rising time is about 5ns, when reset signal arrived, the SD signal will be turned to low, and the noise in the guard time will be squelched. The receiver includes digitalized burst mode optical power monitoring function, which converses any of a received ONU optical power directly in digital, with a Trigger input from system. When rising edge of Trigger detected, the DDM processor starts a burst optical power conversion, the digital result is available via DDM interface after Burst Optical Power Conversion Time. Trigger pulse width should be more than Burst Optical Power Conversion Holding Time. An integrated WDM coupler can distinguish 1310nm input light from 1490nm output light.